Srinagar: Leh is 415 kilometres from here and there are smooth, well maintained roads. The climb to the mountain is gradual and the ride is extremely beautiful, ideal for a family or senior citizens. However, it is open only from the first week of May till December, depending on snowfall. Manali: About 482 kilometres from Manali is Leh. The road is on a high altitude and covered in snow most part of the year. It is only open first week of June to October. This would be ideal for adventure seekers as it is steep and rough road throughout. For certain restricted areas like Dhahanu, Nubra Valley, Tsokar, Tsomoriri, Pangong Lakes, etc. tourists need to get special permission. 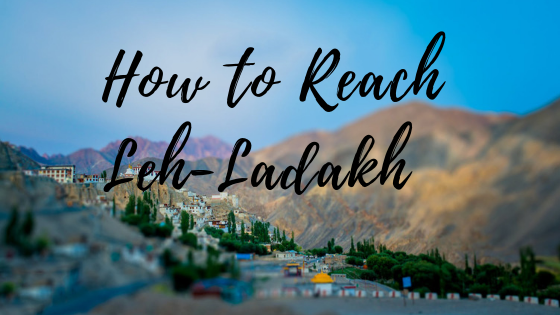 Go2Ladakh can help you at every step with the paperwork and right permission. Ideally, for both routes an overnight halt would be needed at a nearby village. With Go2Ladakh you can book your end-to-end travel bookings. We offer suggestions and travel alternatives to suit your needs the best. Direct flight Connectivity from Jammu, Sringar, Delhi, Mumbai. Kushok Bakula airpot is world highest airport in ladakh, altitude at 1100ft, more then 5 flights operating Air India, Goair, Spice Jet, Jet Airways.